As an old guy, LOL, I have bought into a few scams in my younger days; hopefully, a little bit... read moreAs an old guy, LOL, I have bought into a few scams in my younger days; hopefully, a little bit wiser today. I started trading a couple of months ago; profited out of the chute on a cryptocurrency tip ($1250 investment turned into $16,000 in 3 weeks). Due to being ignorant, I held onto it and lost it all. Today, a couple grand in the hole, BUT much wiser! I put the brakes onto my trading and forced myself to learn. Right away, I saw through the majority of the roadside freakshows selling snake oil medicine! So, I just stuck with the YouTube videos. I kept coming back over and over to the Bullish Bears because of their awesome content! I searched for reviews on the folks selling stock education and alerts. Many of you may not know, you can create or manipulate websites to say anything you want. You can delete YouTube comments. It's not hard to polish reviews to give a certain perception. BUT with Facebook, there is no deleting comments and reviews unless you want to hide the review section altogether. Sure, you can ask people to pump them full of great comments, but you can't keep real people from telling the truth. So, long story short, here I am, brand new member of Bullish Bears! They have roaring reviews on Facebook. Every video they have on YouTube is so genuine, their hearts truly shine through. Descending triangle patterns are bearish chart patterns. Descending triangles are formed by drawing trend lines that connect to form the triangle pattern. Watch our video below to learn more about the significance of descending triangles when trading. You can also read more below on descending triangles and how to predict price movements! This triangle pattern forms as a continuation pattern during a downtrend. This is a really popular trend amongst traders. Hence, it shows a clear sign that demand for the stock is weakening. Japanese candlesticks patterns have become the foundation of trading. Candlesticks tell us a story whether they’re long legged doji candlesticks, gravestone doji candlesticks as well as dragonfly doji candlesticks. They warn us of the overall feeling and emotions of traders around the world. 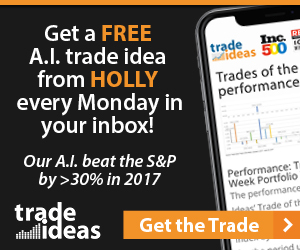 Using this information, we can make smarter trades. Descending triangle patterns have two trend lines that connect lower highs as well as a group of lows. Watch for the move below the lower trend line which is support. It’s telling you downward momentum is building. Breakdown for that stock is about to happen. Once that breakdown occurs traders can short the stock making it fall even lower. Not all brokers have shares to short, so unless you have an account with a broker like Interactive Brokers, you could miss the move. Click here to read our Interactive Brokers Review. Getting into options can be a good move as you can buy and sell puts. Put options take the short side of things. Read our posts on day trading options for income along with trading options for a living to delve deeper into options trading. Trend lines are so important to trading triangle patterns. For a continuation pattern, like descending triangle patterns to be confirmed, they need to be a part of an established trend. Because this is a bearish trend the duration and length isn’t has important as the strength of the pattern formation. The lower horizontal trend line needs at least 2 retain lows. This forms the line. The lows don’t have to be exact but should be pretty close together. There does need to be some distance between the lows with a reaction in between them. The upper descending trend line needs at least 2 highs to form the line. These highs need to be lower than the previous highs with some distance between them. If the most recent high is the same or higher than the previous high, the descending triangle isn’t valid. The trend lines turn into key areas of support and resistance. When the stock breaks out of the descending triangle the support (lower horizontal trend line) now becomes resistance. The stock will most likely go back up to test that resistance level before continuing its move down. Always remember that patterns can break down and reverse though. Check out the weekly chart of a pump and dump stock $SOLO – the weekly angular trend line has held the hulls and the price continues to be pushed into the apex of the triangle. Eventually, it will crack. The trend is down! If you’ve been watching our candlesticks videos, you’ve probably heard how important it is to be able to find patterns within the patterns. Descending triangle patterns can take weeks or even months to form. Being able to find and trade the patterns within the patterns allows you to capitalize on all moves. Patterns break down all the time based on news or the emotions of traders. The descending triangle pattern is primarily a continuation pattern but on some occasions it can be part of a reversal pattern. It’s always important to get confirmation of a breakout before buying in so you’re not caught in a trap or fake out. Never forget you’re trading on the greed and fear of other traders. That’s where these patterns come from. Bullish candlesticks, bearish candlesticks, doji candlesticks or even hammer candlesticks will make up these patterns giving you signs on what it’ll do. Take our free candlestick charting course. Download our candlesticks charts free e-book. As we stated before, triangle patterns use key levels of support and resistance to confirm a breakout. Without trend lines or the real bodies and wicks of candlesticks you wouldn’t be able to plot these levels. Moving averages, MACD and RSI would be useless without this knowledge. Candlesticks are arguably the most important part of trading. They’re the base of everything we do. When you pair them with moving average lines as well as trend lines you’ll be able to foresee moves. That’s not say a stock will do what these indicators are saying every time though. Technical analysis isn’t a crystal ball telling you the future. It sure helps though. BLCM broke down out of the descending triangle but is going back up to test the new resistance levels (200 Simple Moving Average) to see if they can break resistance. Descending triangle patterns inform you of an impending breakdown of a stock. It’s important to spend time learning to find these patterns. Practice trading them in a simulated account before using real money.